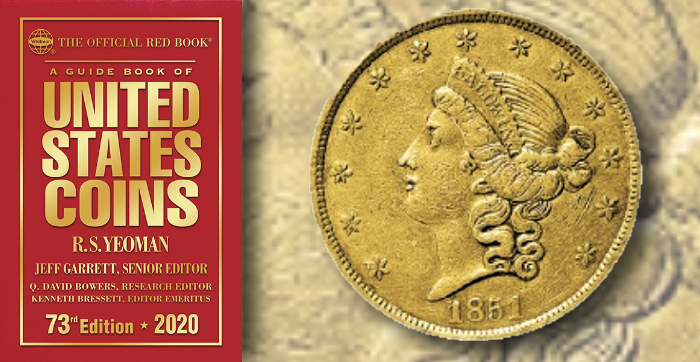 Coin Update continues its series dedicated to reflecting on the long history of Whitman Publishing’s Guide Book of United States Coins, also known as the Red Book. On April 9, the highly anticipated 73rd edition of the Red Book is scheduled to debut. “Red Book Recollections” features personal reflections written by Red Book contributors, collectors, and others with the aim of providing different perspectives on the long-lived reference work. My experiences with the Red Book began at the age of 12 when my father bought me a copy of the 1988 edition at the local book shop on Staten Island to serve as the standard reference for my small coin collection. Through its pages, I first learned about such classic United States coins as the Walking Liberty half dollar, Morgan dollar, and Peace dollar. I continued to acquire personal copies almost yearly until I became a professional numismatic cataloger in 1999. Now, I use the book almost daily while cataloging auction lots for companies such as Bowers and Merena and researching Steve Contursi’s inventory at Rare Coin Wholesalers. It was a tremendous honor when I was recently accepted to serve as a contributor to the book that helped to launch my interest in numismatics as a child.